The story of Leonard Peltier as described in the book "In the Spirit of Crazy Horse" was the inspiration for the Toad song Crazy Life. There are many disagreements and strong feelings on all sides about the shootout at Jumping Bull Ranch on June 6, 1975. Leonard Peltier is an imprisoned Native American considered by Amnesty International, the Southern Christian Leadership Conference, National Congress of American Indians, the Robert F. Kennedy Memorial Center for Human Rights, Archbishop Desmond Tutu and Rev. Jesse Jackson, among many others, to be a political prisoner who should be immediately released. Leonard Peltier was convicted for the deaths of two FBI agents who died during a 1975 shoot-out on the Pine Ridge Indian Reservation. Leonard Peltier has been in prison for over 29 years. The Wounded Knee occupation of 1973 marked the beginning of a three-year period of political violence on the Pine Ridge Indian Reservation. The tribal chairman hired vigilantes, self titled as "goons" to rid the reservation of American Indian Movement (AIM) activity and sentiment. More than 60 traditional tribal members and AIM members were murdered and scores more were assaulted. Evidence indicated "goon" responsibility in the majority of crimes but despite a large FBI presence, nothing was done to stop the violence. The FBI supplied the "goons" with intelligence on AIM members and looked away as "goons" committed crimes. One former "goon" member reported that the FBI supplied him with armor piercing ammunition. Leonard Peltier was an AIM leader and was asked by traditional people at Pine Ridge, South Dakota, to support and protect the traditional people being targeted for violence. Peltier and a small group of young AIM members set up camp on a ranch owned by the traditional Jumping Bull family. On June 26, 1975 two FBI agents in unmarked cars followed a pick-up truck onto the Jumping Bull ranch. The families immediately became alarmed and feared an attack. Shots were heard and a shoot-out erupted. More than 150 agents, "goons", and law enforcement surrounded the ranch. When the shoot-out ended the two FBI agents and one Native American lay dead. The agents were injured in the shoot-out and were then shot at close range. The Native American, Joseph Stuntz, was shot in the head by a sniper's bullet. Stuntz's death has never been investigated, nor has anyone ever been charged in connection with his death. According to FBI documents, more than 40 Native Americans participated in the gunfight, but only AIM members Bob Robideau, Darrell Butler, and Leonard Peltier were brought to trial. Robideau and Butler were arrested first and went to trial. A federal jury in Iowa acquitted them on grounds of self-defense, finding that their participation in the shoot-out was justified given the climate of fear that existed on the Pine Ridge Reservation. Further, they could not be tied to the close-range shootings. Peltier was arrested in Canada on February 6, 1976, along with Frank Blackhorse, a.k.a. Frank Deluca. The United States presented the Canadian court with affidavits signed by Myrtle Poor Bear who said she was Peltier's girlfriend and allegedly saw him shoot the agents. In fact, Ms. Poor Bear had never met Peltier and was not present during the shoot-out. Soon after, Ms. Poor Bear recanted her statements and said the FBI threatened her and coerced her into signing the affidavits. Leonard Peltier was extradited to the United States where he was tried in 1977. The trial was held in North Dakota before United States District Judge Paul Benson, a conservative jurist appointed to the federal bench by Richard M. Nixon. Key witnesses like Myrtle Poor Bear were not allowed to testify and unlike the Robideau/Butler trial in Iowa, evidence regarding violence on Pine Ridge was severely restricted. 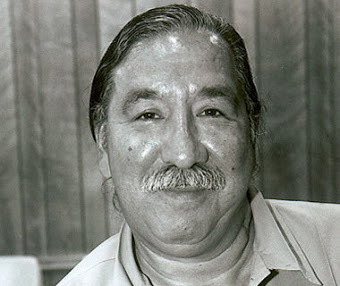 An FBI agent who had previously testified that the agents followed a pick-up truck onto the scene, a vehicle that could not be tied to Leonard Peltier, changed his account, stating that the agents had followed a red and white van onto the scene, a vehicle which Peltier drove occasionally. Three teenaged Native witnesses testified against Leonard Peltier, they all later admitted that the FBI forced them to testify. Still, not one witness identified Peltier as the shooter. The U.S. Attorney prosecuting the case claimed that the government had provided the defense with all FBI documents concerning the case. To the contrary, more than 140,000 pages had been withheld in their entirety. An FBI ballistics expert testified that a casing found near the agents' bodies matched the gun tied to Leonard Peltier. However, a ballistic test proving that the casing did not come from the gun tied to Peltier was intentionally concealed. The jury, unaware of the aforementioned facts, found Leonard Peltier guilty. Judge Benson, in turn, sentenced Leonard Peltier to two consecutive life terms. Following the discovery of new evidence obtained through a Freedom of Information Act lawsuit, Leonard Peltier sought a new trial. The Eighth Circuit ruled, "There is a possibility that the jury would have acquitted Peltier had the records and data improperly withheld from the defense been available to him in order to better exploit and reinforce the inconsistencies casting strong doubts upon the government's case." Yet, the court denied Peltier a new trial. During oral argument, the government attorney conceded that the government does not know who shot the agents, stating that Leonard Peltier is equally guilty whether he shot the agents at point-blank range, or participated in the shoot-out from a distance. Leonard Peltier's co-defendants participated in the shoot-out from a distance, but were acquitted. 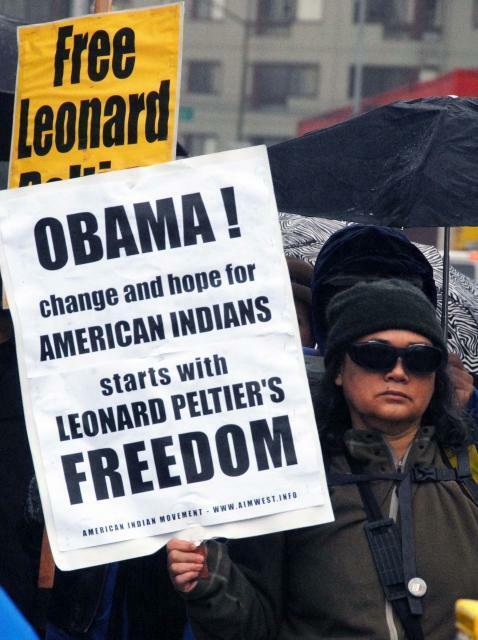 Judge Heaney, who authored the decision denying a new trial, has since voiced firm support for Leonard Peltier's release, stating that the FBI used improper tactics to convict Leonard Peltier, the FBI was equally responsible for the shoot-out, and that Peltier's release would promote healing with Native Americans. Leonard Peltier has served over 29 years in prison and is long overdue for parole. He has received several human rights awards for his good deeds from behind bars which include annual gift drives for the children of Pine Ridge, fund raisers for battered women's shelters, and donations of his paintings to Native American recovery programs. Leonard Peltier suffers from diabetes, high blood pressure, and a heart condition. Time for justice is short. Currently, Leonard Peltier's attorneys have filed a new round of Freedom of Information Act requests with FBI Headquarters and all FBI field offices in an attempt to secure the release of all files relating to Peltier and the RESMURS investigation. To date, the FBI has engaged in a number of dilatory tactics in order to avoid the processing of these requests..
Did you all think he'd just disappear? What have you done with Peltier? Underground it takes to root oh, ohh..
Who do you think, taken away?